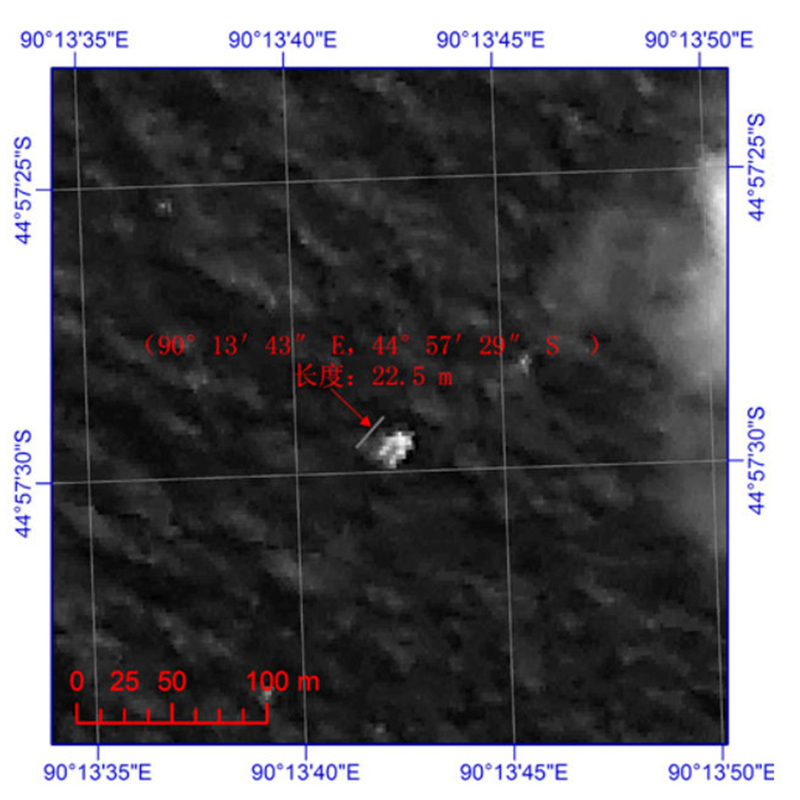 More Satellite Images, But Still No Sure Sign Of Missing Jet : The Two-Way Images taken four days ago by a Chinese satellite show something large floating in the same general area of the Indian Ocean as in earlier pictures. But searchers didn't find anything Saturday. This satellite image, taken on March 18, has intensified the search for Malaysia Airlines Flight 370 in the Indian Ocean about 1,500 miles southwest of Perth, Australia. The image was released Saturday by Chinese authorities. The multinational search "will resume tomorrow and further attempts will be made" to determine whether that object or others that have shown up in satellite images are related to the missing plane, the safety authority added. Newly analyzed satellite images of objects floating in the southern Indian Ocean have intensified the search for Malaysia Airlines Flight 370 in waters more than 1,500 miles southwest of Australia. Malaysia's acting transport minister said Saturday that ships are heading to the location. One of the objects appears to be about 70 feet long and 40 feet wide, the BBC, Associated Press and Reuters reported. "Chinese ships have been dispatched to the area," minister Hishammuddin Hussein told reporters. It was a Chinese satellite that took the images. According to China's Xinhua News, the image showing the large object was taken on Tuesday (March 18), which means whatever was seen in the water may have sunk below the surface since then or drifted considerably. The Indian Ocean is more than 3 miles deep in that area. Flight 370 and the 239 people on board disappeared from radar screens on March 8 about one hour into its scheduled six-hour flight from Kuala Lumpur to Beijing. Most of the plane's communications systems were either disabled or switched off around the time it disappeared. But investigators have followed some clues, including radar data, and believe the jet turned west, crossed the Malay Peninsula and then may have headed south over the Indian Ocean. Earlier satellite images, taken about a week ago, also showed possible debris in the Indian Ocean about 1,500 miles southwest of Perth, Australia. Those earlier images were the first possible sign of the missing Boeing 777. They led this week to a refocusing of the search. Aircraft and ships from Australia, New Zealand, the U.S. and other nations have been crisscrossing the area. The effort is being led by the Australian Maritime Safety Authority. So far, nothing has been spotted. The newer images taken by the Chinese satellite show objects in the water about 75 miles southwest from where the earlier images spotted something, China's Xinhua News says. Officials have cautioned that the objects seen in the satellite images may not be related to the missing jet. They might be, for instance, cargo containers that have fallen off ships.